There are times when you want to embed Google Maps in the messages that you are sending to the user. 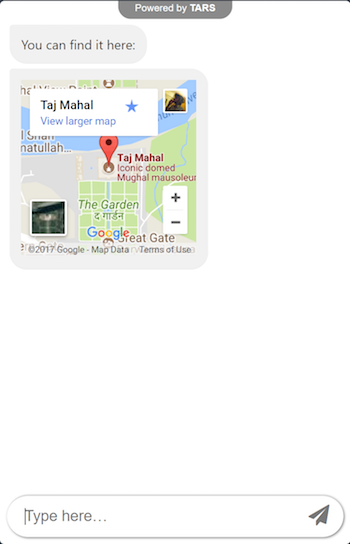 Go to Google Maps and search for the location. 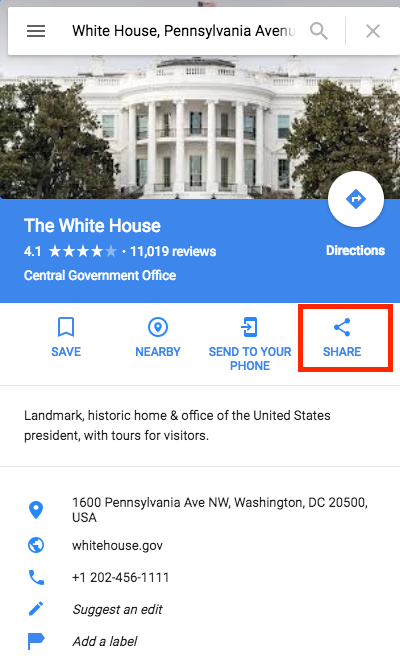 For instance, if you search for "White House", you will see that the search result looks like this. 2. 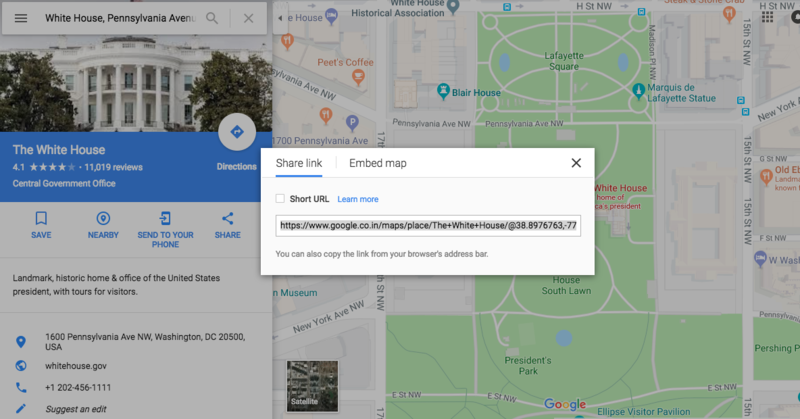 Click on "Share" option in this search result and you will get a popup with two sharing options - "Share Link" and "Embed Map". In this code, change the width to "250" and height to "200" so that it fits in well in the chat. 5. Copy this edited code and paste it in a message bubble. 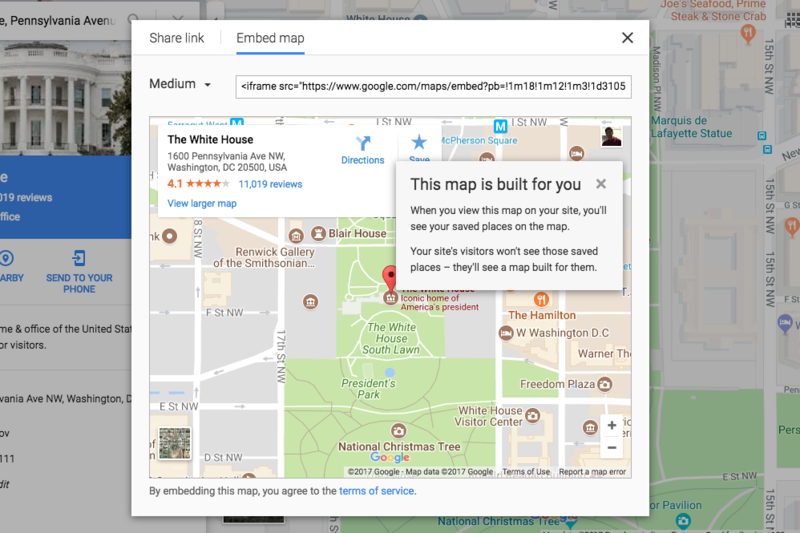 You will see this google map in your message bubble now. That's it. NOTE: You need to copy and paste this code directly in the Bot message bubble. If you type it out manually, it won't work.